In our product range, we are manufacturing supplying and exporting Automatic Filling Packaging Machine. 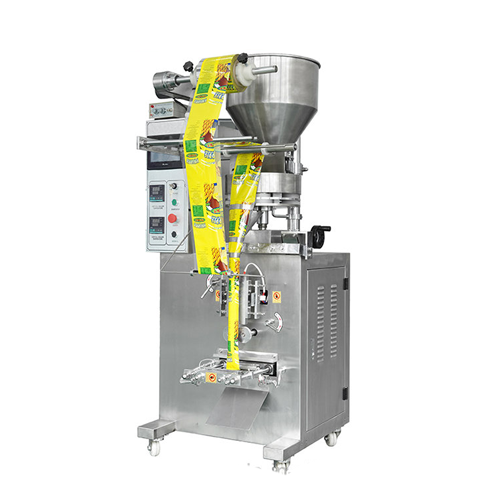 The machine is specially designed for packing non-free flowing powder products and is extensively used due to its outstanding performance, low maintenance and longer service life. Further, these are available as per clients’ needs and demands. We, Sara Udyog, established in the year 1989, are among the prominent manufacturers, suppliers and exporters a qualitative assortment of Food Processing & Packaging Machines. The product range is inclusive of Food Processing Machinery, Food Processing Extruder Machines and Packaging Machinery. Owing to their sturdy construction, energy efficient design, low maintenance, user-friendly operation, longer functional life and excellent performance, these food packaging and processing machines are highly demanded in the market. The offered packaging and processing machines are packed with tamper-proof packaging before dispatch at the customers’ end, to avoid any damage while transportation. With the aid of hi-tech infrastructure, we have been able to cater to the precise needs of our valuable customers in the most efficient manner. Our infrastructural facility is well-equipped with latest lathe, cutting, welding and finishing equipment and machinery. Spread over a vast area of land, our infrastructure is known for its large production capacity.